The Boston Herald has renewed concerns about pedestrian safety with a report that nine pedestrians were hit in Boston on the same day. 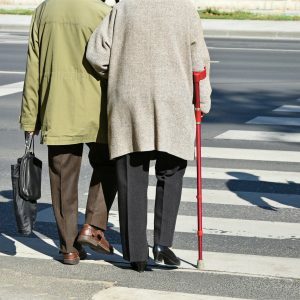 On Tuesday, January 17th, the city saw its worst day for pedestrian accidents since at least June 2015, according to a Herald analysis. The first pedestrian accident occurred at a McDonald’s restaurant on Massachusetts Avenue in the South End. This accident occurred shortly after 9:30 a.m. The other eight accidents occurred between 4:30 p.m. and about 9 p.m., in Dorchester, Jamaica Plain, Roxbury, Brighton and Hyde Park. Pedestrian accidents are a concern for everyone on the roads. In Massachusetts, we do a lot of walking. According to WalkBoston, more than 10 percent of all trips in Massachusetts are taken on foot (this is more than 40 percent greater than the national average). When it comes to work, 12 percent of Massachusetts residents commute by walking. The number is higher in some communities. In Cambridge, 24 percent of residents walk to work. According to the Boston Herald, pedestrian injuries are on the rise in Boston. In 2016, 904 pedestrians were injured in crashes, a 15 percent increase over 2015. Twelve pedestrians died in 2016, up from nine in 2015. Mayor Marty Walsh has formed a Vision Zero task force with a goal of eliminating fatal and serious traffic fatalities in Boston by 2030. As part of the Vision Zero work, the city lowered its default speed limit from 30 mph to 25 mph in early January. The change does not impact state-owned roads. If you live or work in Boston, learn more about Boston’s speed limit change. Use Sidewalks. The sidewalk is the safest place for pedestrians. If no sidewalks are available, walk on the left side, against traffic so that drivers have a chance to make eye contact with you. At Night. Carry a flashlight and wear a reflective safety vest if you walk at night or in the early morning. Use Crosswalks and Traffic Signals. Use crosswalks and press the Walk button when available. Drivers are required to stop for you under Massachusetts law. Other cars are not allowed to pass the stopped vehicle. Pay Attention to Safety Alerts. Winter is a harsh time for pedestrians. Pay attention to safety alerts and travel warnings from the State of Massachusetts, the MBTA, public schools, communities and your employers. Beware of Snowbanks and Snowplows. Tall snowbanks obstruct the view between drivers and pedestrians. Wear a neon safety vest if you must walk in travel in these areas and pay attention to traffic. After a storm, expect to see snowplows on streets and working in parking lots. Take it slow. Beware of Construction Areas. Areas such as North Station in Boston are now much harder for pedestrians to travel due to construction. Pay attention to notices about construction schedules and avoid building activity and construction workers whenever possible. Watch for Cars Backing Up. Pedestrian accidents can happen when drivers neglect to check for pedestrians as they pull out of a parking space or a driveway. Watch out for these drivers and stop to let them back out. Our attorneys have over 100 years combined experience representing pedestrians who have been injured by the negligence of drivers and defective roadway conditions. 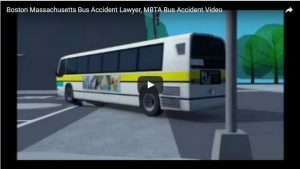 Our law firm represented one pedestrian who was struck by a MBTA bus in a crosswalk in 2005. The pedestrian suffered serious injuries and required amputation of her right leg. The case went to trial and was appealed by the MBTA. The final award was $7.1 million for our client. See the re-enactment video we prepared for trial. It shows one way pedestrians can be put at serious risk. If you or a family member has been injured, learn your rights for seeking compensation. For a free legal consultation, contact the Boston pedestrian accident lawyers at Breakstone, White & Gluck at 800-379-1244 or 617-723-7676 or use our contact form.